We’re in Szlovakia for a few days on a short snowboarding adventure. 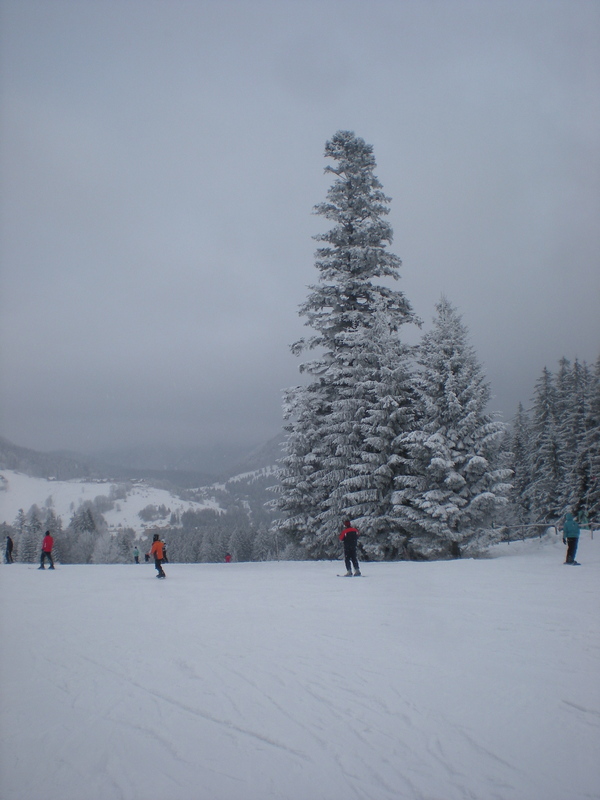 The weather here is cold–about -6C and no sunshine, though the constant snow and fast slopes are invigorating. There are tall, amazing pines everywhere and they are pillowed by the most amazing white covering. Today I saw a man nordic-skiing UP the mountain. Following close behind him was his little Jack Russel terrier. When they reached the top, the man skied down with the Jack following closely and happily behind. I am so happy to be back in this part of the world. Köszi! 🙂 It is awesome to snowboard.